“Are you serious!? !” asked a visitor to the Times Union-sponsored Home Show Saturday after reading our latest bulletin on how we’ve gone seven years without a raise. The bulletin focused on the “timesunionMINUS” program. It discussed how rising costs and stagnant wages are making employees lose money year over year. 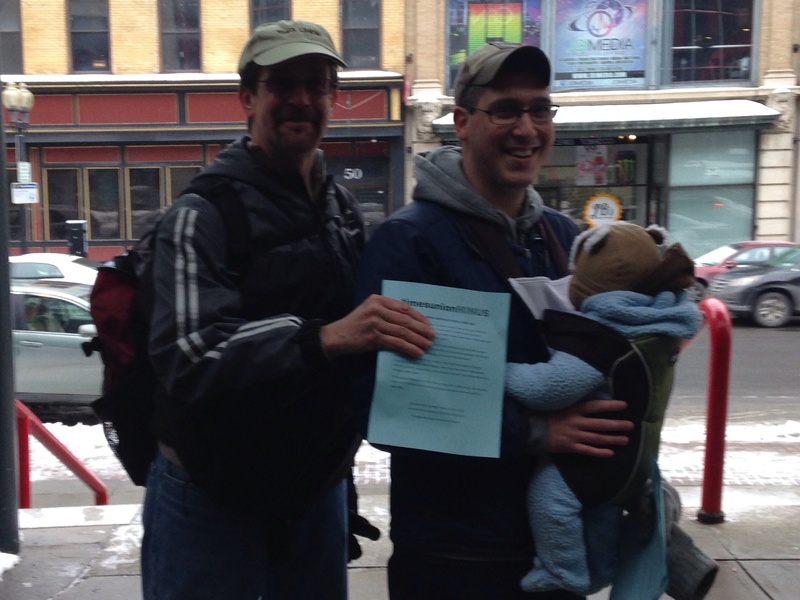 A special thanks to Luke Carleo for braving the cold to join his dad as we handed out our bulletins.